By default, the new iPad dock in iOS 11 shows up to three recently opened apps on the right side, separated from the other apps by a vertical line. 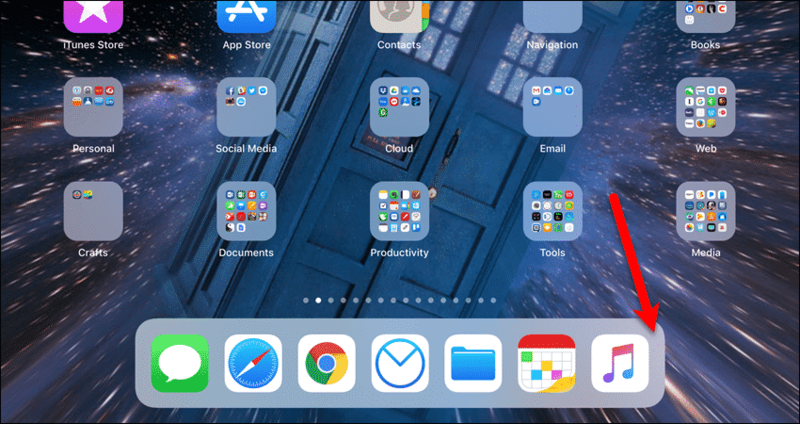 However, you can hide recent apps on your iPad’s Dock if you don’t want them to be shown. The Recent Apps on the right side of the Dock makes it easier to switch among them. 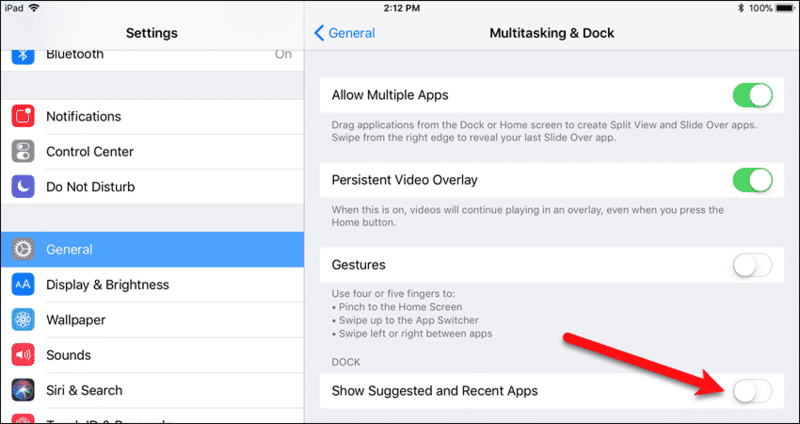 You can call up the dock at any time, in any app, by swiping up from the bottom of your iPad’s screen and switch to a recently opened one. 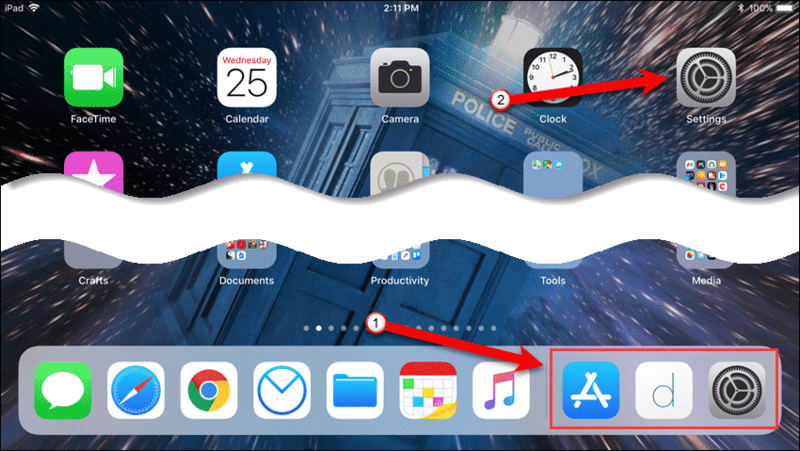 If you don’t do a lot of app switching, or multitasking, you can hide recent apps on the Dock, leaving more room for specific apps you want to add to the Dock instead. Today we’ll show you how to do this. To hide any recent apps on the Dock, tap “Settings” on the Home screen. In the “Settings” area, tap “General” and then “Multitasking & Dock“. On the “Multitasking & Dock” screen, tap the “Show Suggested and Recent Apps” slider button to turn off the feature. The slider button turns white when it’s off. The recent apps on the right side of the Dock are removed, and you’ll only see the apps you yourself added to the Dock. You now have room to add more specific apps to the Dock. Simply drag an app icon to a position on the Dock to add it. if you do multitask and switch among apps often, you should leave the Recent Apps feature enabled. It’s like the “Command+Tab” application switcher on the Mac. It will improve your productivity. However, if you share your iPad with other people, you may not want them seeing what you are doing with your tablet. Do you use the Recent Apps feature? 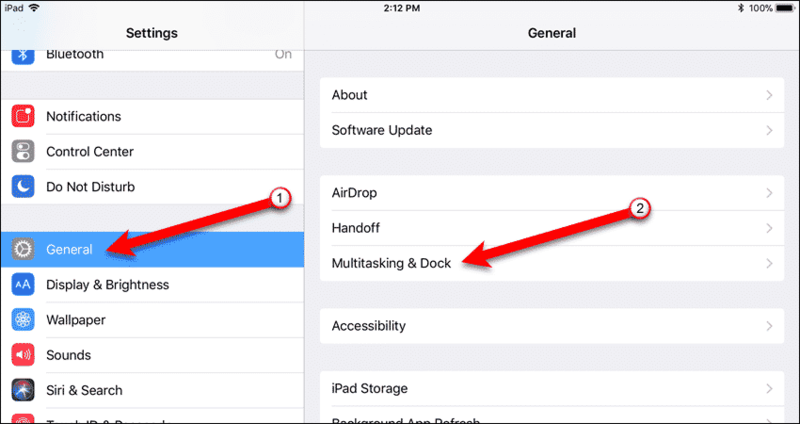 Do you do a lot of multitasking on your iPad? Share your thoughts and experiences with us in the comments below.